Cellcom is proud to award sixteen $750 scholarships to graduating high school seniors across our service area. Cellcom is proud to award sixteen $750 scholarships to graduating high school seniors across our service area. Cellcom scholarship recipients are selected on the basis of academic record, potential to succeed, leadership and participation in school and community activities, honors, work experience and an essay on community impact. Financial need is not considered. Applicant must reside within a county in Wisconsin or Upper Michigan where Cellcom operates. Applicant or applicant's parent or legal guardian must be a Cellcom customer. Applicant must be a high school graduating senior. Applicant must be planning to enroll in a full-time undergraduate course of study at an accredited two- or four-year college, university, or technical school. Applicant must have a minimum of 75 volunteer hours. Cellcom employees and agents or dependents of employees and agents are not eligible to apply. Winners will be notified by June 15, 2019. Checks will be distributed by September 1, 2019. How many scholarships does Cellcom give out? Cellcom gives 16 scholarships valued at $750 each. You must apply online for this scholarship. No emailed or hard copy applications are accepted. Applications must be submitted by March 15, 2019. Complete List of Eligible Wisconsin counties: Adams, Brown, Calumet, Clark, Door, Florence, Forest, Green Lake, Iron, Kewaunee, Langlade, Lincoln, Manitowoc, Marathon, Marinette, Menominee, Oconto, Oneida, Outagamie, Portage, Shawano, Sheboygan, Taylor, Vilas, Waupaca, Waushara, Winnebago and Wood. Complete List of Eligible Michigan counties: Dickinson and Menominee. Employees and employees of Cellcom agents and dependents of employees and agents are not eligible. Who is eligible to be a Cellcom scholarship recipient? You are eligible if you are a high school senior planning to enroll in a full-time undergraduate course of study at an accredited two- or four-year college, university, or technical school. Applicants must be U.S. citizens and be a resident of a county where Cellcom operates. Cellcom and Nsight employees and their direct dependents are not eligible to apply. Agents for Cellcom and their direct dependents are not eligible to apply. What is the essay question for this scholarship? The essay question that must be answered in 750 words or less: Describe how you have contributed to and impacted your community. How are the scholarship winners selected? Cellcom scholarship recipients are selected on the basis of academic record, potential to succeed, leadership and participation in school and community activities, honors, work experience and a statement of educational and career goals. Financial need is not considered. Selection of recipients is made by Cellcom. All applicants agree to accept the decision of Cellcom as final. Scholarship recipients only will be notified in June 15, 2019. Payments will be made as one $750 payment by September 1, 2019. Checks are made payable to the student. Recipients may only be selected once. What are my obligations if I am named a Cellcom scholarship recipient? Acceptance of the scholarship constitutes permission to use the recipient’s name and/or likeness for purposes of advertising or trade. Otherwise no obligations of any kind are imposed upon you as a Cellcom scholarship recipient. You are eligible if you are a high school senior planning to enroll in a full-time undergraduate course of study at an accredited two- or four-year college, university, or technical school. Applicants must be U.S. citizens and be a resident of a county where Cellcom operates. Cellcom employees and their direct dependents are not eligible to apply. Agents for Cellcom and their direct dependents are not eligible to apply. How to enter: Complete the on-line Cellcom scholarship application form. All sections of the application must be completed for applicant to be eligible. Applications are due by March 15, 2019. Judging: Scholarship recipients will be selected on the basis of academic record, potential to succeed, leadership, and participation in school and community activities, honors, work experience and the completion of an essay question. Financial need is not considered. 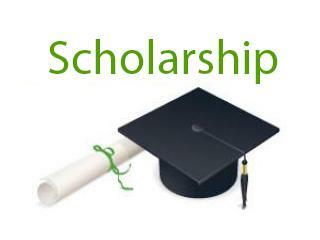 Scholarships: Two $750 scholarships shall be awarded per Cellcom market. All scholarships will be awarded by September 1, 2019 in the form of a check payable to the recipient. Awards are for one year only. Recipients may receive an award only once. Additional Terms: Taxes on awards are the sole responsibility of the recipients. By participating, entrants agree: a) to the Official Rules and decisions of Cellcom which shall be final in all respects; b) (where legal) to the use of their names and/or likenesses for advertising, promotional and publicity purposes without written consent or compensation; and c) to release, discharge and hold harmless Cellcom from damages arising out of, if any way, their participation in this program. Scholarship restrictions: No substitutions or transfers permitted. Limit one scholarship per household. Scholarships are to be used to cover institution costs and fees. In the event institution costs and fees are less than the scholarship amount, the balance of the scholarship may be utilized for other education costs such as course materials, books, and on- or off-campus housing. Cellcom reserves the right to interpret these rules and to make decisions concerning the award, acceptance and use of scholarships in situations not covered by these rules. We have become a "mobile" society. Smart devices help you to be more connected, organized, efficient, and productive…if you know how to use them to their potential. Cellcom experts will review the basic device functions and answer questions to help you learn to better use your smart device so you can be more connected, organized, efficient and productive with it. 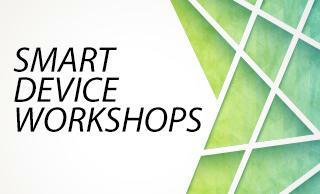 These workshops are open to everyone and will be held at all of our retail locations (except Bay Park Square and Wausau Mall). Please call the retail location of your preference to reserve your spot today. Since 2004 Cellcom has offered a cell phone recycling program where customers can bring in their old or unwanted phones to be reused and recycled. Cellcom sends the phones to recyclers who in return send money to Cellcom for the materials that were saved from the phones. Cellcom donates this money back to local non-profits through Green Gifts. 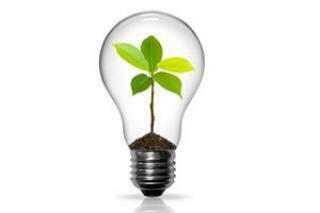 Green Gifts are awarded on an annual basis and $302,675 has been awarded to date. Since 2004 Cellcom has offered a cell phone recycling program where customers can bring in their old or unwanted phones to be reused and recycled. Cellcom sends the phones to recyclers who in return send money to Cellcom for the materials that were saved from the phones. Cellcom’s recycling program has generated $346,975 for local charities over the past 15 years. Consumers can contribute to the program by donating their old cell phones for recycling at any Cellcom retail location.